Shortly after Littledale you’ll turn left at the T-junction in Quernmore. The road then soars up through a couple of doglegs before the long, long, long (yes, it’s long) drag up to the tower at the top of Jubilee Hill at 930 feet. You could stop at the tower and ascend the stairs to admire the view out to the Irish Sea and the Lake District, or maybe you’d like to shelter behind the tower from that beastly wind whipping in off the water. Why it was only yesterday that the Prof creakingly ascended the tower in the snow flurries and freezing temperature to stand on the icy parapet and set his ashen, wrinkly face against the leery chill. But there beneath his beetled brows his tiny eyes glittered merrily like little, black diamonds. Yes, for beneath the leaden march of time lies the immutable truth of the changing of the seasons, and, lo, the Badass cometh! Have faith Badasses, and keep those pedals turning! Stravasaddoinfopoint: Plenty of segments on this hill, but the “official” one starts in Quernmore and finishes at the tower (http://app.strava.com/segments/946980). This is a very well known climb and has been ascended by some pretty quick geezers. If you want to vie with them for the crown we suggest you come to visit on a training day. Better still, try “Quernmore Dropsy” down off the hill the way you came up (http://app.strava.com/segments/2544940). A riotous, twisting leg churner of a descent with a fast approaching stone wall at the end of the steepest straight, it requires a massive pair of kahunas and a somewhat devil may care attitude to personal safety. The perfect recipe for ear to ear grinning (but don’t tell your Mum). 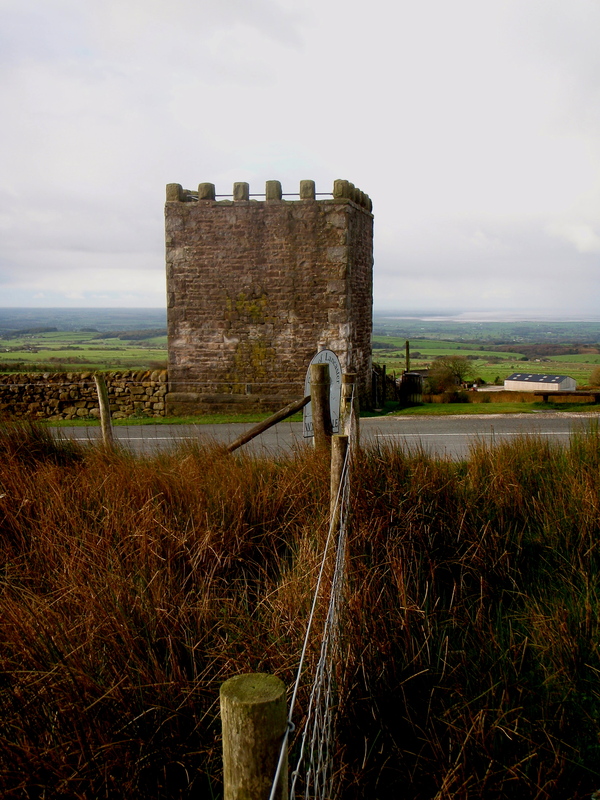 Posted on January 22, 2013, in Bowland Badass Climbs and tagged bowland, Bowland Badass, Climbs, Cycling, Jubilee Hill, Jubilee Tower, Lake District, Quernmore, Strava. Bookmark the permalink. 1 Comment.